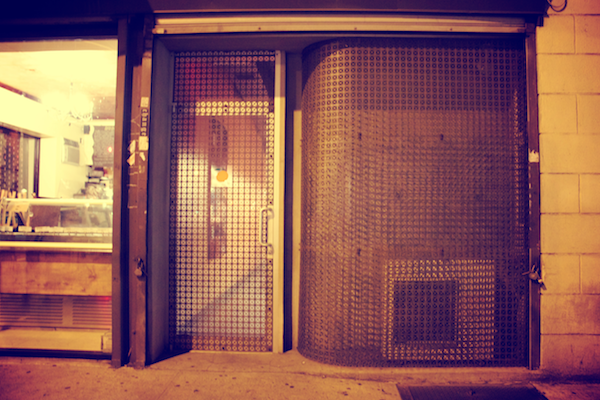 Popular culture is full of references to the classist exclusivity of New York nightlife, particularly the challenge and futility of getting restaurant reservations. Thanks to an egalitarian (although, still only barely accessible) reservation system, we managed to book one of the most sought after reservations in town. 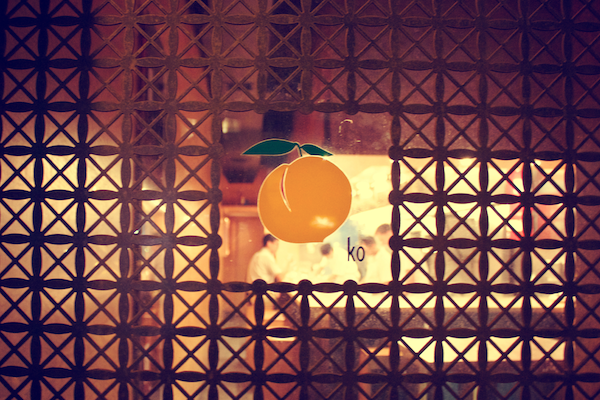 Momofuku Ko, the brainchild of chef David Chang, is a 12 seat restaurant in the East Village. 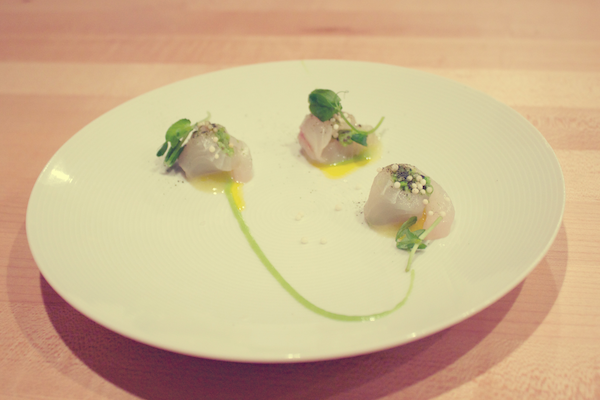 The only dining option is a fixed-price omakase (chef's choice) 2 hour, 11 course meal. 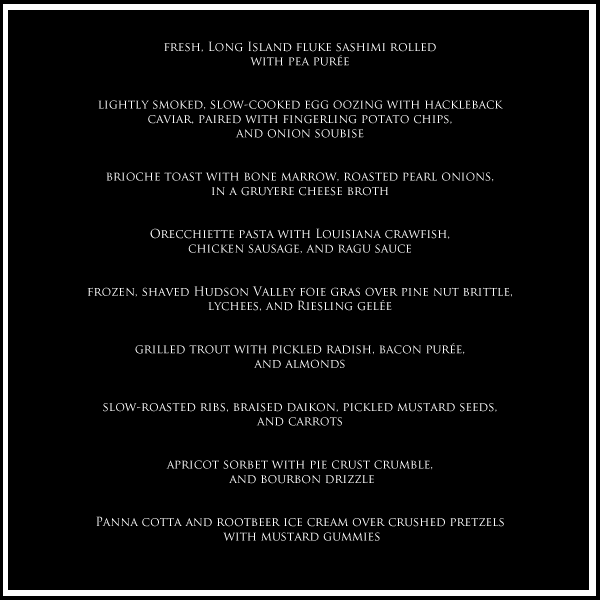 Reservations can ONLY be made online at 10am, a week in advance, on a first-come-first-served basis. The system applies to everyone: celebrities, VIPs, and the rest of us. Reservations have been known to be filled mere seconds after 10AM, so we knew we had to have a strategy. With two computers at the ready, we waited patiently in the morning, hit refresh a bunch of times, and through some cosmic fluke/intervention we snagged a reservation. When we made our way to the restaurant we initially walked right by it. The exterior façade consists of only metal grille and a tiny logo on the door. This set the tone for one of the more unconventional dining experiences we've ever had. The interior consists of an open kitchen, flanked by a wooden bar around which the diners are seated on backless stools. Even before the first appetizers arrived (chicharrón with togarashi, and biscuits with mirin), we'd become entranced by the activity in the kitchen. We were at one moment trying to predict what might be presented to us next by watching the cook nearest to us, while also keenly anticipating the dishes being served to the other patrons. To say we were impressed with the creativity of the dishes is an understatement. Our likes and dislikes of certain plates aside, the real treat of the experience is how it enticed us to really think about the flavours and textures of the food, while also abandoning our notions about what could be eaten when, where, or how. Okay, you've peaked my interest. There's a part two right???? I can't believe you got in!! I'm so jealous! Ko may be a better gauge of Chang's talents, because the Ssam Bar (as reveiwed on my blog) may not be a fair assessment of his metier as a chef. that is such a unique entrance... i love it! Sounds so interesting...I love your blog, think it's great! you guys are momofukin' BALLERS. congrats. You're totally excused for not taking any more pics. Hope to get there one day.